Top Stories >> event >> Interested in Adaptive Rowing? Learn to row with us! 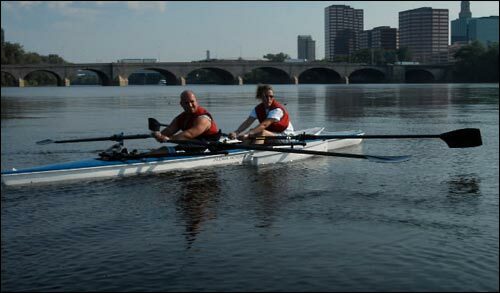 The Connecticut Adaptive Rowing Program (CARP) is designed to serve a wide variety of recreational and competitive rowing enthusiasts with physical disabilities and/or visual impairments. Volunteers needed to assist with all aspects of the program. Experience is not required for membership. When: Orientation is scheduled for May 24, 2017 from 5-6:30 p.m. at Mount Sinai Rehabilitation Hospital. CARP offers sessions on Monday and Wednesday evenings from 5:00 -7:00 p.m. and Veterans Rowing & Kayaking every other Saturday 9:30 – 12. Please review application for dates and fees. click here for a self health assessment form.